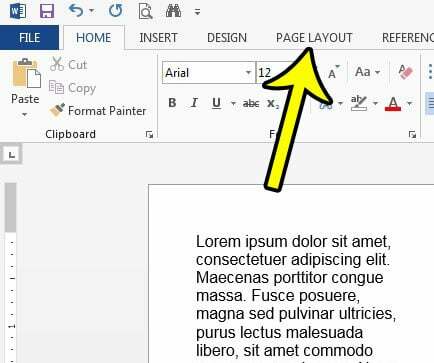 While the default layout for a new document in Microsoft Word will fill the entire width of the page as you type and add content, some situations may arise where you need to add columns to your document. But after you have formatted your document with columns, you may notice that the document seems difficult to read because your eyes naturally move from left to right as you read. One way to help with this is to put lines between your columns. 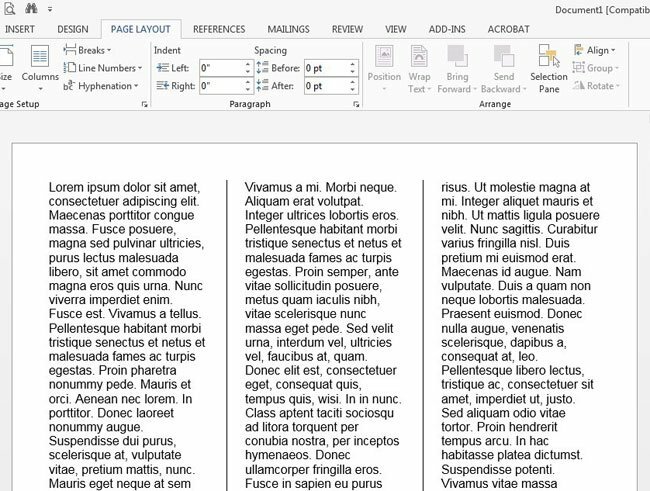 The steps in this article were performed in Microsoft Word 2013, but are similar in most other versions of Word as well. Note that this guide assumes that your document already contains columns. 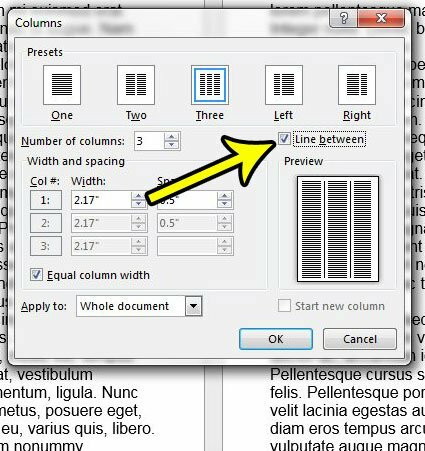 If not, you can format your document with columns by clicking the Page Layout tab, click the Columns button, then choosing the desired number of columns. Step 2: Select the Page Layout tab at the top of the window. Step 3: Click the Columns button, then choose the More Columns option. Step 4: Check the box to the left of Line between, then click the OK button. Your document should then look something like the image below. Did you add columns to your document, but you have too many columns now? 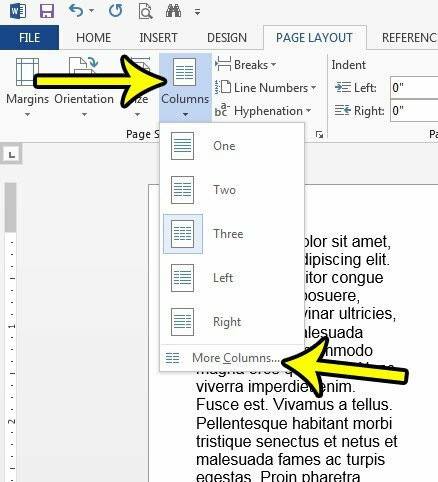 Find out how to remove a column in Word if you would prefer to have less columns in your document.